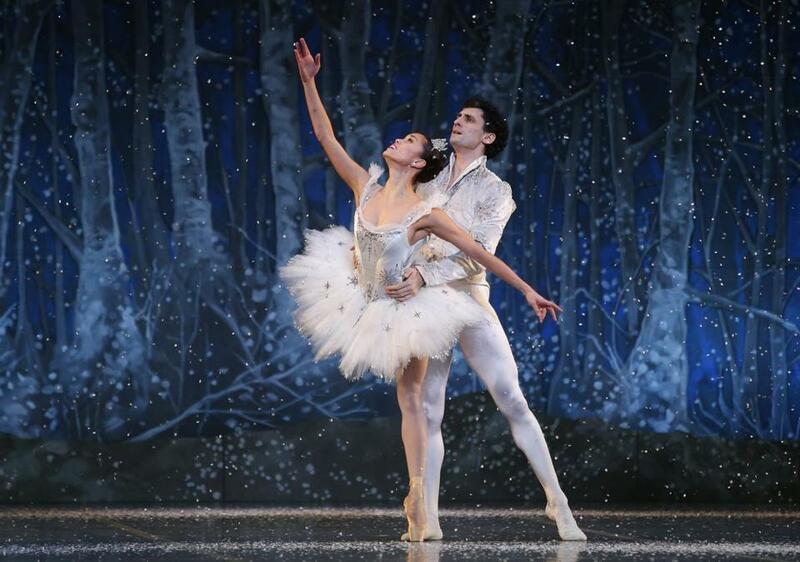 Paulo Arrais as the Nutcracker Prince at Boston Opera House. 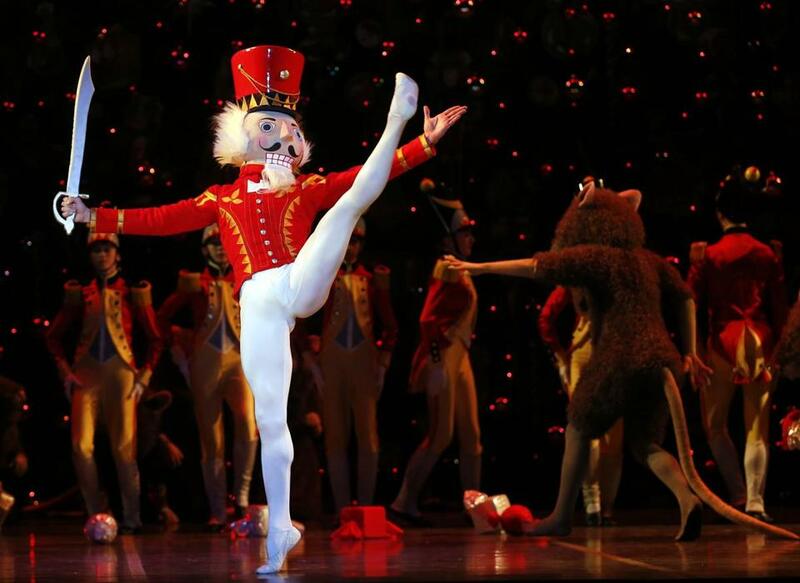 “The Nutcracker” has always been a moneymaker for Boston Ballet — for years it was the company’s financial backbone — but over the past three decades it’s also been an aesthetic statement. Under artistic directors Bruce Marks, Anna-Marie Holmes, and now Mikko Nissinen, Tchaikovsky’s 1891 classic has been a story for adults as well as children, with humorous touches like the parlor maid’s downing a leftover glass of port, or the baby mice’s parody of the Dance of the Cygnets from “Swan Lake,” and the Red Cross stretcher the mice’s MASH unit brought out. The Ballet has enjoyed a long line of winning Claras. 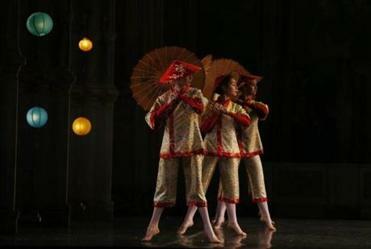 And its “Nutcracker” has been as scrupulously conceived and executed as the rest of the repertoire. This “Nutcracker” even has a bit of social commentary. As the Overture strikes up, we see apparently homeless children begging for, and receiving, free samples from a hot-chestnut vendor while a street sweeper does his job. Then Clara Silberhaus saunters by in a matching pale blue coat and bonnet and white muff, as if she were a young Jane Austen heroine. (Nissinen and Perdziola have set the ballet in 1820 or so, close to Austen’s time period, and also that of German Romantic E. T. A. Hoffmann, who wrote the novella on which “The Nutcracker” is based.) At her parents’ home, a maid, a governess, a butler, and a footman assemble to greet the holiday-party guests. The Silberhaus residence might not be Downton Abbey, but Clara does live in a privileged world. It’s all the more heartwarming, then, that she gives her heart to the homely Nutcracker. The first act, with a battle scene that looks to have been tweaked and clarified, is a real treat, and Friday it boasted a number of outstanding performances. As Drosselmeier, Clara’s godpapa, Yury Yanowsky was like a beaming kid himself: He strutted comically in his workshop window before the street children, and at the Silberhaus party, he mischievously incited the boys to interrupt the girls’ lullaby. This is the best Drosselmeier I’ve seen in 30 years of watching Boston Ballet’s “Nutcracker.” The same superlative could apply to Sarah Wroth’s outgoing Frau Silberhaus and Noah Parets’s Prussian-with-a-sense-of-humor Fritz; Parets was especially dynamic with his hobby horse. Eliza French reprised her role as the opening-night Clara from last year; she was lovely then and she was lovely Friday, with big extensions and an infectious smile. 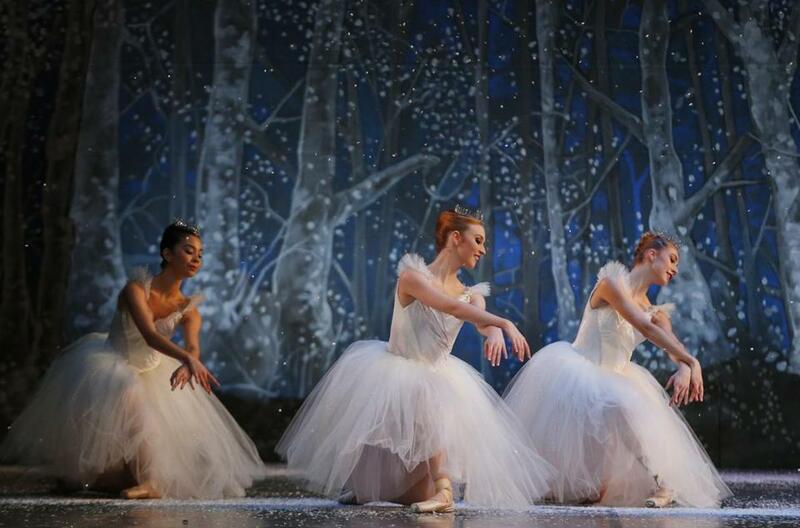 Eliza French in "The Nutcracker." The second act, with Paulo Arrais and Ashley Ellis as the Nutcracker Prince and the Sugar Plum Fairy, just missed reaching the same level. Arrais, who has returned after a season with the Norwegian National Ballet, was a powerfully poetic Siegfried in “Swan Lake” last month. The poetry was still there Friday, the power and precision not quite so much. Ellis was soft and volumetric, as always, but a little neutral, and she and Arrais didn’t create much chemistry. The fireworks in the Act 2 divertissements were provided by Misa Kuranaga’s quicksilver Dew Drop and Kathleen Breen Combes’s smoky odalisque in Arabian. 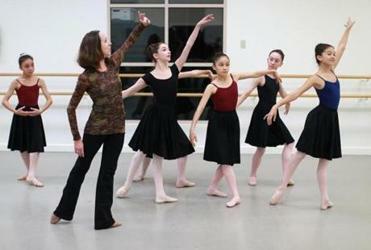 Before one tiny foot steps onto the Boston Opera House stage, it takes dozens of hours of rehearsal for the 215 young dancers. 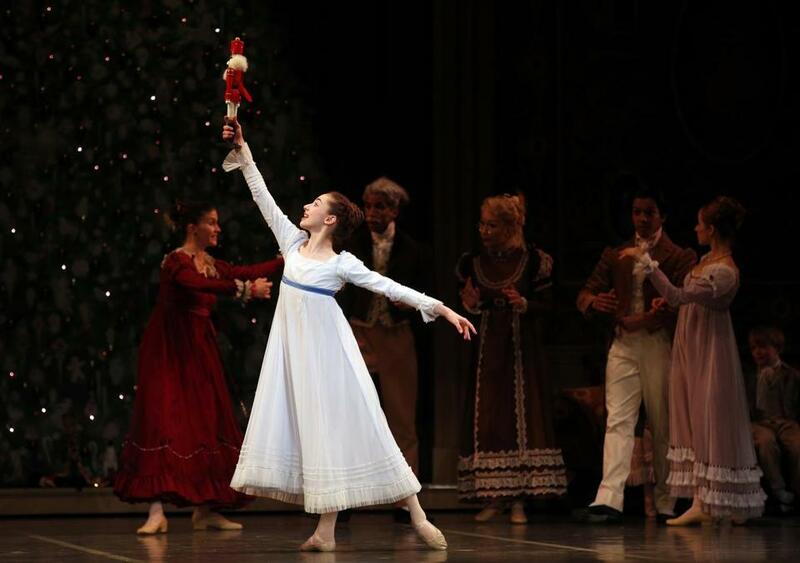 One of the best things about Nissinen’s “Nutcracker” is the last scene, which Clara now has all to herself. It’s just a brief gesture, really, but it makes for a magical ending, and Friday, French did it beautifully.